A friend of mine was recently asked by his sister to find her a phone, which had all the features and qualities of a Samsung Galaxy Grand, but at half the price. 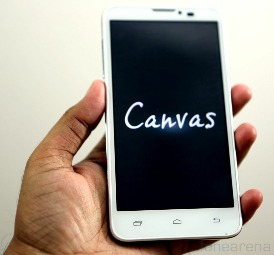 And he found an arguably better phone (she seems to think so) at a price less than half – the Micromax A11 Canvas. This is what the genius pioneers at Indian smartphone maker Micromax have done – they’ve made cheap, cool smartphones with tons of features – and catapulted themselves to the top of the Indian smartphone market, along with the Indian manufacturer Karbonn, overtaken Samsung and Apple – an unbelievable achievement in terms of sales, and also in terms of the Indian psyche. Homegrown electronics are always looked down upon, always – and yet these two, Micromax mainly, have attracted the youth and achieved the cool status – with clever, clever marketing. Micromax has made itself a smart young self confident brand – with a uniquely catchy ad for each product, and a brand ambassador like Hugh Jackman! They’ve fitted themselves into the ‘cool cheap feature filled phones for the youth’ niche – and had a major impact as a result.